A big Thank You to WAG friend Meri Kate. 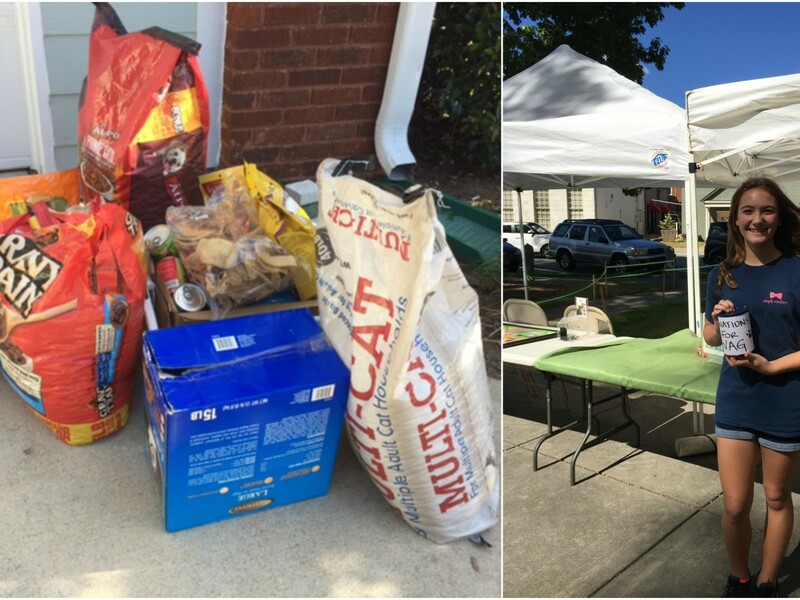 For the second year in a row, Meri Kate made arrangements to do a food-raising drive for WAG’s pet food pantry at Tractor Supply in Monroe. She set up the date and created her own marketing materials, letting people know about the food pantry and how it helps local pet owners. Her efforts were rewarded with over $50 in cash and over 200 lbs in pet food and snacks collected – an amazing effort by this very motivated young lady!